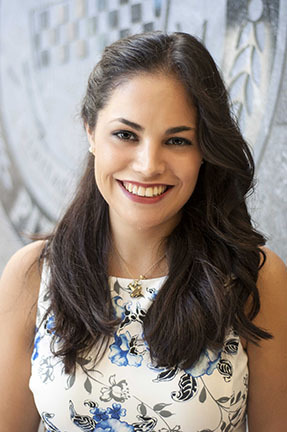 Forbes Magazine has recognized PittPharmacy Assistant Professor Inmaculada Hernandez, PharmD, PhD as one of the 2019 Forbes 30 Under 30. The annual list chronicles entrepreneurs across the United States and Canada. Hernandez is among 600 trailblazers in 20 industries from among thousands of nominees. Forbes lauded the impact of Hernandez’s research on drug pricing. In the announcement, Forbes specifically called attention to her work that demonstrated that drug prices increase twice as fast during a shortage as the would otherwise, and her work that quantified the full cost of recently approved CAR T-cell cancer therapies. Hernandez joined the faculty of PittPharmacy in 2016.